I have always wanted a tattoo…yep, I first wanted to get some cool Japanese writing, then a barb wire arm band, and then something to show my Irish family pride with a Hynes family crest that I found on the internet (could never confirm if it was actually my “Hynes” family or not). 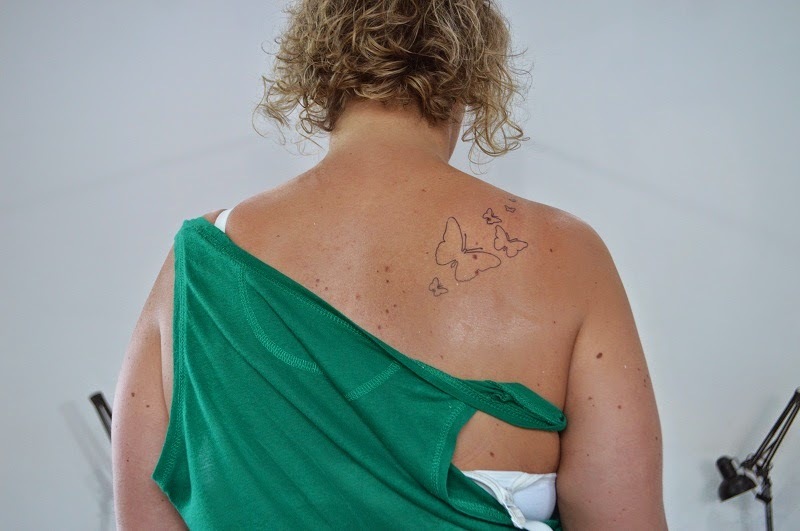 Yet, over the years I never actually got a tattoo…and thank goodness! 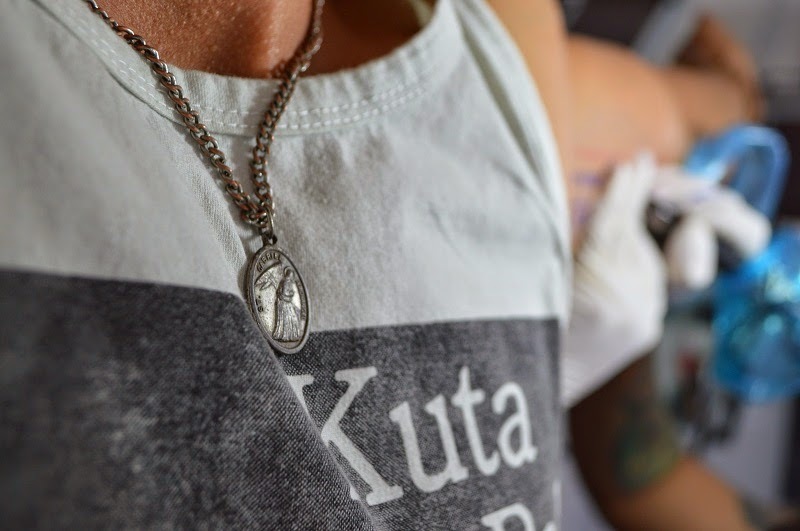 However, when my mom passed away after losing her an unbelievably courageous battle with breast cancer something deep inside me told me that I needed to do something in her honor…and so once again, I thought about getting a tattoo. Would I get her name? Maybe an angel? Or, perhaps somehow weave my (unconfirmed) family crest and her initials or something…At the end of the day I really didn't know exactly what I wanted. It really sums up her approach to life…and something that reminds me of the remarkable woman my mom was and always will be to me. 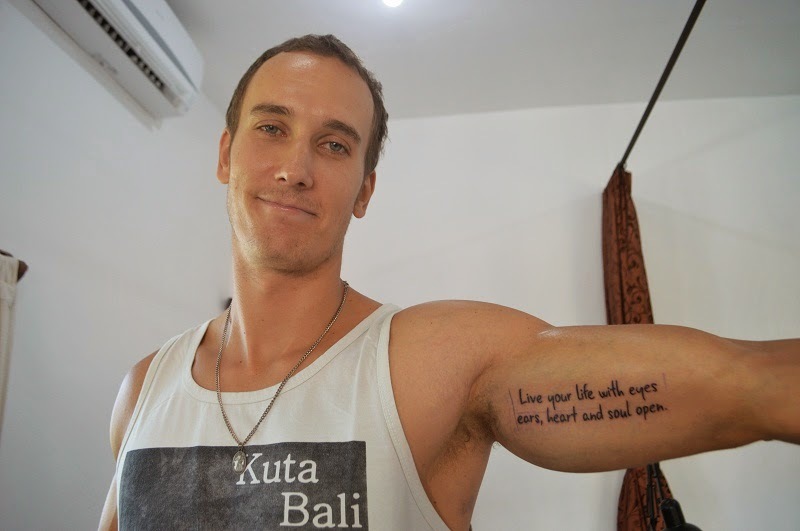 That’s what I should get as my one and only tattoo and not for anyone but myself…I decided that it made the most sense to put the words on my inner bicep, so that it rests near my heart and at anytime I can look at those words for inspiration and guidance. And like her, I want to live my life using that philosophy. 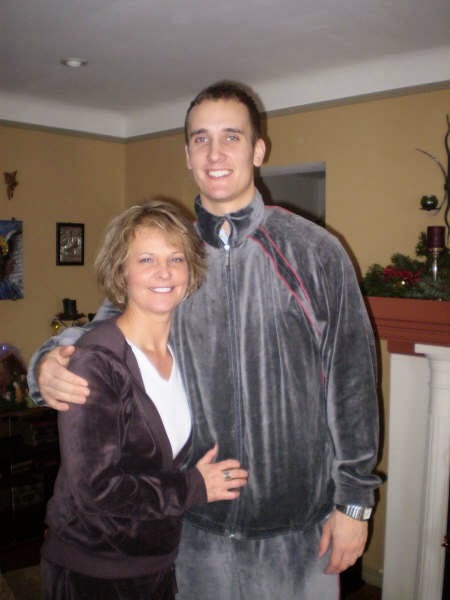 Yet, even with a clear vision and strong conviction I don’t think I would have actually went through with it if it weren't for my sister Stephanie. 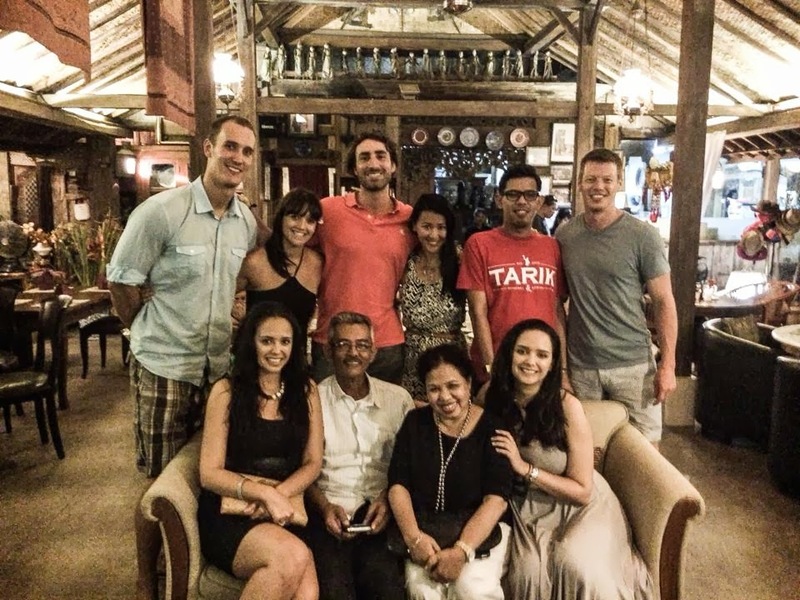 She managed to get the time off of work AND get my dad and step mom to watch her son to make it over here in Bali. 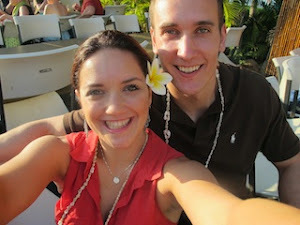 A truly once in a lifetime experience and opportunity to spend time with her brother on the other side of the world! 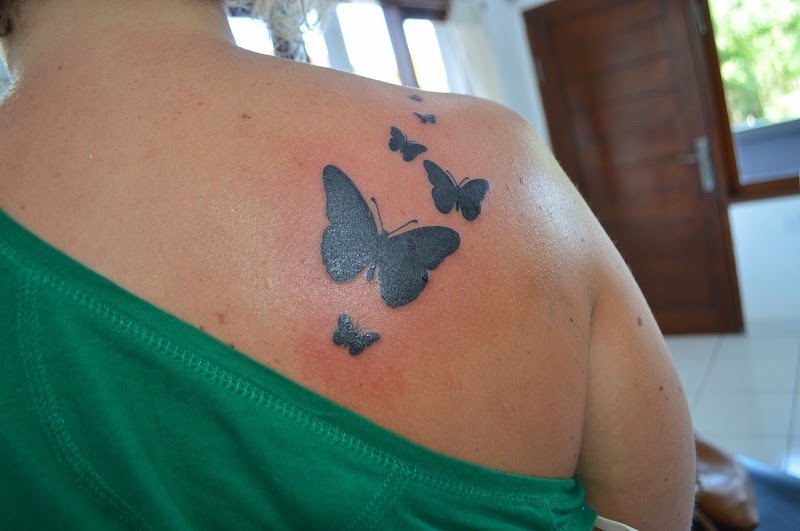 When she arrived, I floated the idea to her of getting tattoos but I really didn’t think she would want to go through with it…but I was WRONG! At couple points…I grew hesitant…and then my sister…We could see my dad over the years telling me Why would you want to put graffiti on your body?? It was certainly a good point…and is frankly why it had taken me so long. 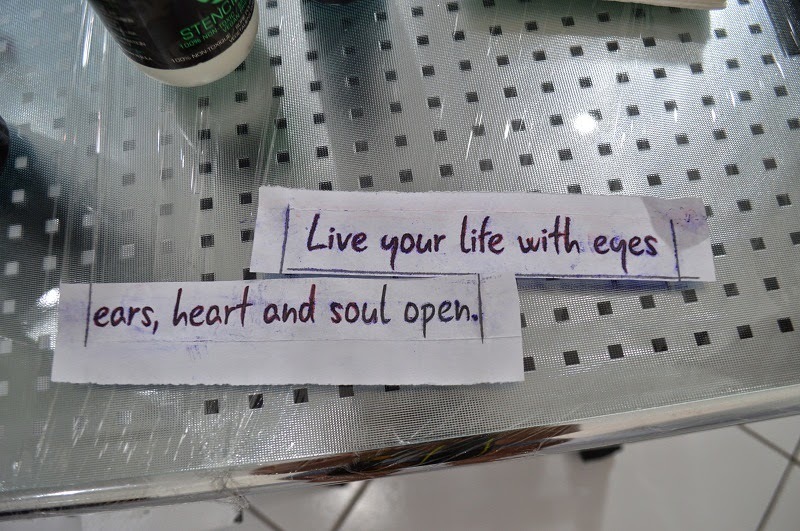 However, in the end we stood firm and found a tattoo parlor with great reviews called Paradise Ink and went in and finalized the design and scheduled it for the following morning…the same day my sis would be on a plane back home to Seattle. A nerve racking experience, and more painful than I thought – it felt like someone was trying to twist my skin off for 40 minutes...ouch! I NEEDED MY SIS TO HOLD MY ARM UP FOR THE STENCIL PLACEMENT...MY ARMS CAN BE A LITTLE HEAVY! I MAY BE A LITTLE OVER DRAMATIC HERE...BUT IT BECOMES VERY REAL ONCE YOU FEEL THAT INK FIRST BREAKING YOUR SKIN! HOLY CRAP! I DID IT! HOLDING MY SISTERS HAND...LIKE I SAID...IT HURTS! POST TATTOO WITH OUR ARTIST! It was that time again. We needed to leave Bali for yet another Visa run. Where to go? After relentless Google searches, we decided on Singapore because it was the cheapest option and we had a new friend that also happened to live there (Pam, if you read the last blog post!) It turned out that one of Estelle’s best friends, Martini and her husband were also in need of a visa run. And so, the four amigos set out for Singapohh (that's how they pronounce it there). We had a SUPER early flight over, and before we knew it, we had arrived in Singapore with the full crew (Estelle, Martini, David and myself). 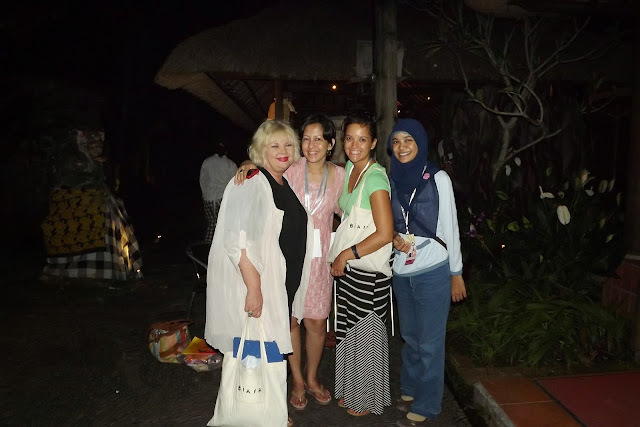 We were greeted by our friend Pamela, who Estelle had met at the Ubud Writers festival. Pam promised a few surprises for us as our tour guide, and she delivered! First things, first…we were hungry! 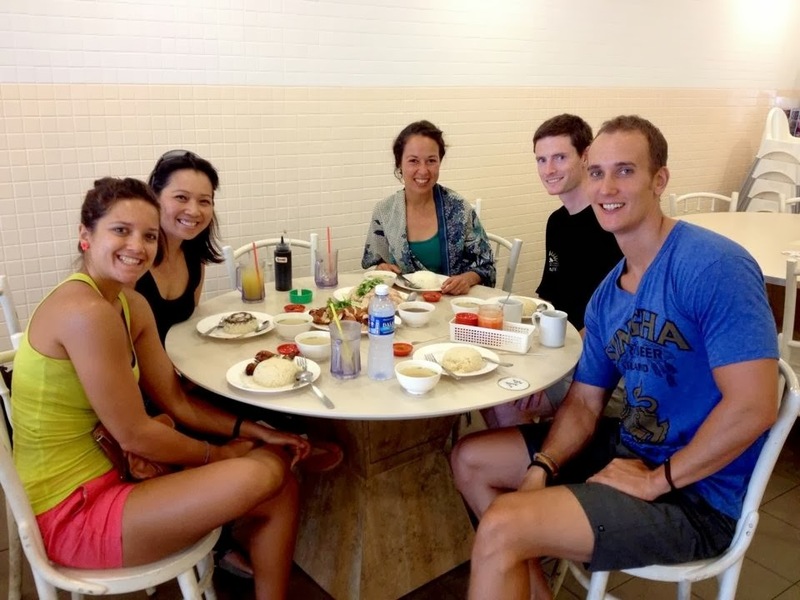 Wanting to give us an authentic Singaporean experience, Pam took us to the world famous (Anthony Bourdain endorsed) Tian Tian that serves the unique Hainanese Chicken Rice. It was delicious, and proved that looks can be deceiving! There is a famous story, that Anthony Bourdain was booed off the stage of the Singapore Food Event, when he admitted that he had not had this famous dish…legend has it, he promptly came here and became an instant fan! We then made a quick pit stop at a famous kaya toast place where delicious pastries have been served by the same family for generations! On the way back to the car, us gluten eaters (David and I) made a little pit stop to try some of the other famous Singaporean food… Kaya Toast! Which is a toast with a spread consisting of eggs, sugar and coconut and a 100% deliciousness. Wow, great stuff! A very authentic experience…check out the receipt below?? Next stop, Lulu Lemon. As you may well know, Estelle is a bit of a workout addict (working out twice a day sometimes!) and had been looking for new workout shorts since the day we arrived in Bali - to no avail. 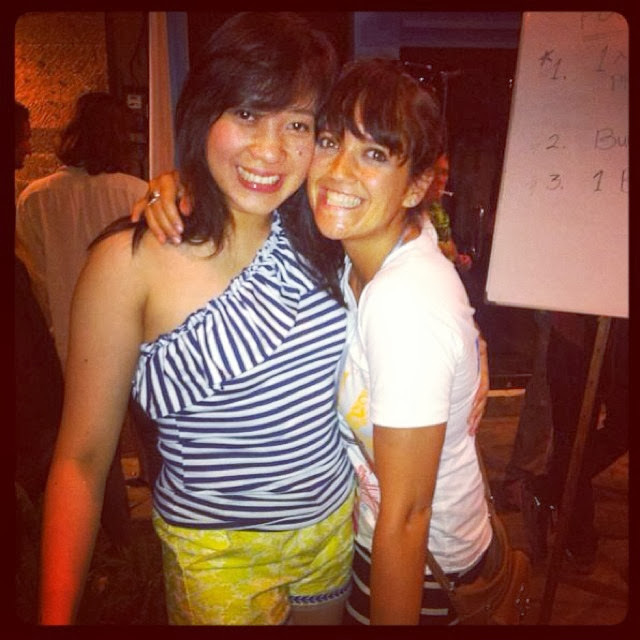 With no Lulu Lemon stores anywhere in Indonesia, she had heard that there was one in Singapore and couldn't stop talking about it :). After finding a pair that fit and looked right, she was a happy girl! Happy girl = happy boy! We decided to stay at a hostel this time around, we figured it couldn’t be any worse than the Hotel we stayed at last time we visited Singapore - in the red light district! The Bunc Hostel was quite simple but it had all that we needed; clean rooms, a good location, wifi and these really cool Japanese style pods. Going to the uber nice Marina Bay Sands Casino! Since we are now more or less unemployed-backpackers, we didn't really gamble… I did however, manage to put a few bucks in the slots - but that was it. Enjoyed the street ice cream sandwich! For only $1.50 (about $0.50 USD) we got to enjoy an awesome slice of strawberry ice cream between two wafers… Best deal in Singapore and YUMMY! Exploring the Raffles Hotel! Named after Sir Raffles, this hotel is the number one choice for all heads of states when they come to town! Enjoyed some great, diverse foods! Singapore features fine cuisine from all corners of the world… and it is ALL amazing. Smoking a hookah and drinking a cold one on the river walk! I’ve been wanting to do this for a while and finally had my chance! Awesome reflexology massage! You can get some great “feel good” massages, but the reflexology massage we got in Singapore hurt so good – definitely felt the therapeutic effects. But last and not least, my personal highlight was going to an authentic Chinese doctor. I really don’t know why exactly… but I REALLY wanted to try this “cupping therapy” treatment. Since I have been in Asia, I have been looking for a clinic that performs this therapy. And low and behold, we found a place that did it! Funny story… by time I had left the clinic I had received a foot massage (single foot) and I had about a quart of blood removed from that same foot - using this crazy suction contraption! Not exactly what I had initially expected, but I gotta say I enjoyed the adventure... and the fact that I had no idea what the staff were saying to one another during the whole time! AND… my foot that had an inflamed tendon did feel much better afterwards! We reunited with Pam on the last day and to ensure that we kept things interesting…we decided to watch “The Escape Plan” (awesome film by the way!). In order to make it work we would have to run to the theater and then promptly run to the car and speed to the airport -so we wouldn't miss our flight! MISSION SUCCESS!Checking in we realized we actually had a little extra time to kill so we got food and leisurely walked to our gate. Hmmm….Where is everyone? OH SH%T! They had moved our gate to the other side of the airport and it was now “last call”… After running what seemed like 5K, we made it on our plane and off we were to Home Sweet Home… Bali! One of the main reasons I decided to move to Bali, was to pursue my love of writing. To finally work on my screenplay - a project I have avoided as much as I avoid gluten. How many words of the screenplay have I written since I moved here? Zero. Not a single one. Feel free to give me a hard time about it whenever you'd like. Knowing that I would need inspiration along the way, I made a promise to myself that I would seek out writing events and other writers to get the ol' wheels turning. Browsing through the Bali Advertiser, a local newspaper here, I came across a print ad for the Ubud Writers and Readers Festival. Thank God - there might still be hope for me. I filled out the volunteer form faster than I can inhale a bar of chocolate. After a life-changing experience volunteering for, TEDx Rainer in Seattle, I wanted to continue to give my time to great organizations. Lucky for me, the festival needed plenty of volunteers. My first volunteer assignment was at the panel, "Of Myths and Marriages" featuring Manju Kapur, Pallavi Aiyer and Amish Tripathi. A discussion of: "What it is like to be an Indian writer in this day" and "The difficulties of being boxed into a certain stereotype". Are you expected to only write about India because you're Indian? Should you spend all of your time and energy ensuring all Indians approve that you are Indian enough? I sipped on their conversation like a hearty merlot, letting their words take over my consciousness. What a magical night it was. Have you ever seen a venue so spectacular? Held at the Royal Suite at the Four Seasons, champagne flowed and hors d'oeurves rotated like clockwork. It was like having wine at an old friends house, warm and full of laughter. If you have the time, I encourage you to look up their work, as they are all incredible writers and just good people. At the end of the day, it is always the people that make the journey worthwhile. I met so many incredible people in such a short amount of time. Writers, readers, musicians, poets, artists and foodies, all brought together by the written word - how beautiful is that? Every volunteer that I worked with was so very humble and eager to make new friends and learn new things. Everyone was hungry to listen and to give feedback. I was lucky enough to work with Siska, Cheryl, Sue, Jacqueline, Sisilia, Inez, Regina, Barbara & Nancy - each who dedicated so much of their valuable time to this festival and who all continue to inspire me to give whenever I can. There were times when I was exhausted and hangry (hungry & angry - if you didn't know) but was always uplifted by the person beside me, who had decided that she wanted to be a part of something bigger than herself. I was assigned to, "Special Events" which were always in such impressive venues. The photo below is of the view from Sari Organic, a restaurant wedged into the luscious paddy fields of Ubud. This event was to walk a group of over fifty people through the rice fields of Ubud. That is a lot of people to try and keep together, not to mention entertain, for a forty-five minute trek through the blazing heat. The universe has its way of bringing blessings into your life and boy was I not expecting this one! Due to several stragglers (who had made it quite clear that they were not timely individuals) I was asked to stay behind and rush the group of latecomers. Enter Pamela Ho. In pure Singaporean fashion, she bounded in like a golden retriever - 30 minutes late. What ever happened to being just five minutes late? Ten? But how can you possibly be mad at a face that literally, has a grin from one ear to the other? Since she was the only dilly-dallier to show up, I was asked to take her on the walk myself. Great. A forty-five minute walk with a complete stranger. How more awkward could things get? It turned out to be one of the best walks I have ever experienced. I quickly learned that Pam was a writer herself and had recently published her first book! A mother of two children, she had decided to follow her dreams and travel the world for a year. Her first book, Adventures of 2 Girls, is of her adventurous year abroad with her best friend. I am so moved by her passion for the unknown and her positive vision of the world and its infinite possibilities! She is a hilarious woman who exudes nothing but good energy - something I have grown to really appreciate over the years. This is her blog if you want to take a peak into her life: Pams Blog. 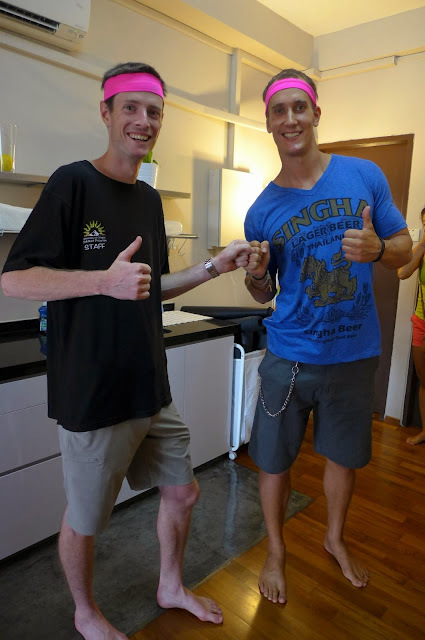 After three full days of working at the festival, I was excited to have Kurt come up to Ubud to meet me! A few days before I had left for the festival, I realized that an old friend might be in town - so I gave him a jingle. "Jerm. I'm volunteering at a writers festival in Ubud - you going to be in town? If so, do you have a couch that Kurt and I can crash on for a night?" "Yeah, sure - no worries. Ill see you then!" That is literally the conversation I had with Jeremy, a friend of over a decade, a few nights before the festival. I informed Kurt that we would be given a couch, or if we were lucky, a bed to sleep on for the night! Little did we know what Jeremy had in store for us. The Mansion is exactly that - a MANSION. What I thought was going to be a villa, ended up being a five star hotel. That's right - A FIVE STAR HOTEL. This place was incredible. Quickly ushered into the dining area, wine began to pour and we quickly became hypnotized by a private fire dance that had been arranged for us. The jungle of Bali proved to be a stunning backdrop for the dance, as flames and screams erupted from the actors. 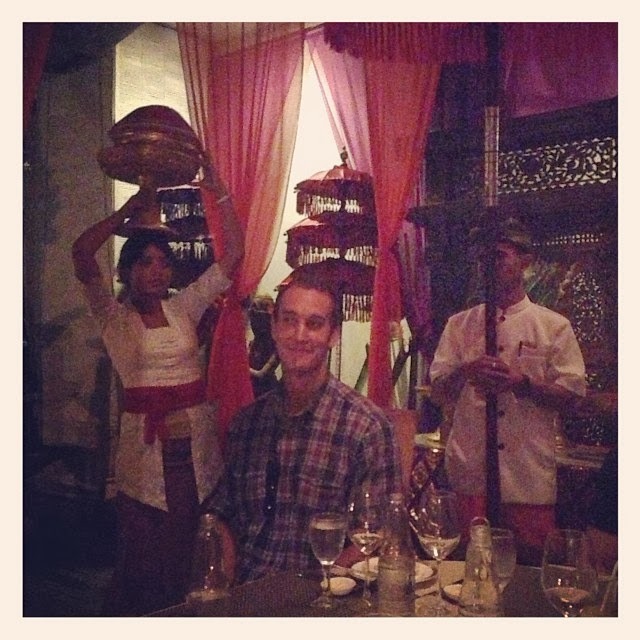 Served by an entourage of Balinese waiters (holding umbrella's I might add) dinner was a magnificent feast. Roasted duck, sauteed sweet potatoes, an array of colorful vegetables and sambal (chili paste) that could kill someone. Sauces and spices for every taste bud! With full hearts and grateful bellies - we were ready for bed. Expecting our couch, we were told it was time to "pick our room". Jeremy's mother, who owns the hotel, has spent years collecting inspiring pieces of art, that bring such a vibrant energy to each space. It was so moving to see each corner, each crevice, carefully sprinkled by her own special touches.We were escorted to five different suites - all uniquely designed and magical in their own ways. I kept looking over at Sienara, mouthing "Is this really happening?" As we made our way through the grounds, we saw little tree houses and charming nooks that were tucked away into the night. One suite was so large, that I could literally use a go-cart to zoom about in - of course this is the room that Julia Robert's almost booked ;) Bath tubs that you could swim laps in, beds you only imagined in fairy-tales, Prussian-blue swimming pools, exotic outdoor showers and art you could spend hours getting lost in - a boutique hotel at its finest. It was a nice surprise to find out that Kurt and I, preferred the same villa, the most quaint of them all with a "cabin" feel to it. I left my prince charming the next morning, to sleep the morning away in our private villa. As I made my way back to the festival for my last shift I couldn't help but think, "How awesome is my life?" I got to sleep next to the love of my life, I spent the last night laughing with old friends and new ones - and I was on my way to give my time to something I love. I couldn't help but smile to myself and think: Life doesn't get any better than this. I am thankful to be able to write. I am thankful for the opportunity to volunteer. I am thankful for such amazing friends (Jerm & Sienara - so glad I have you both). I am most thankful for my health, which gives me the ability to lead such a beautiful life.